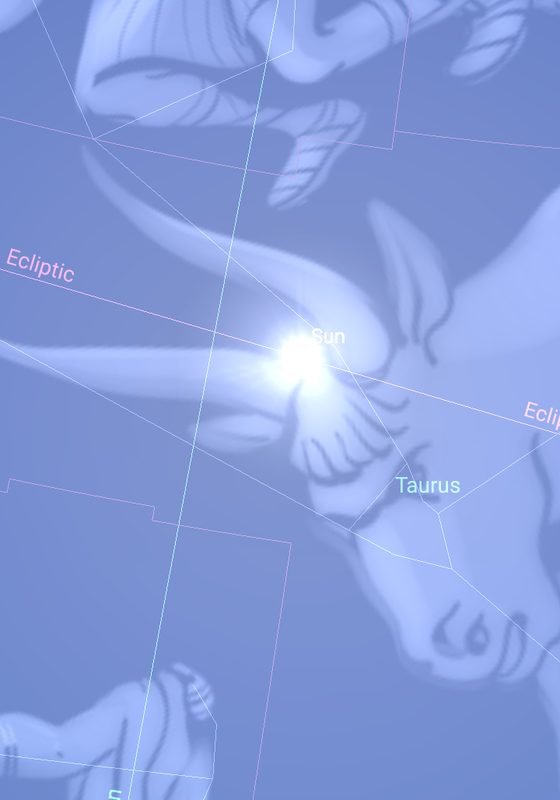 It was 1pm Pacific time in California and the Sun was in the South Eastern sky right in between the horns of Taurus. What makes this so interesting is the Moon/Jupiter conjunction that happens tonight at around 9pm Pacific time. 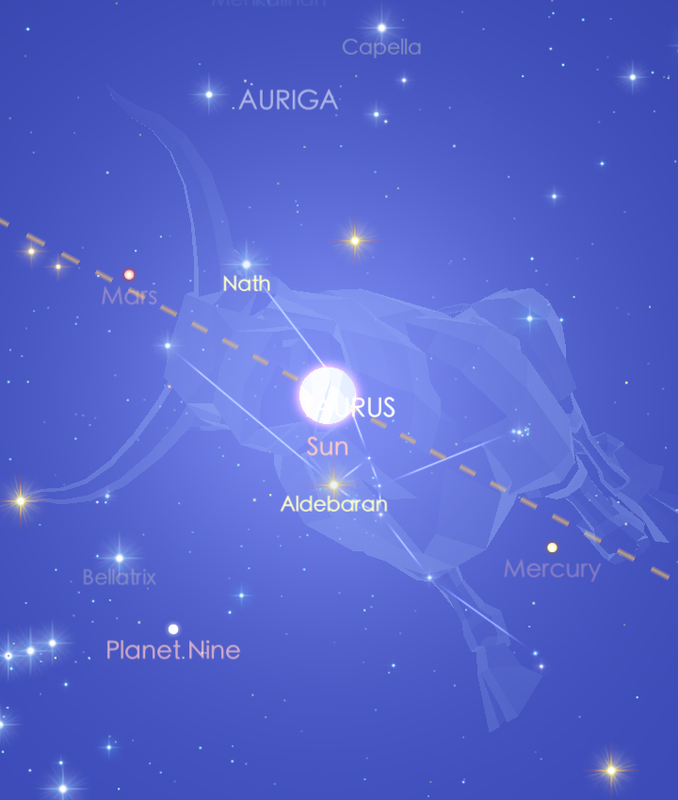 The Sun disk that sets in between the bull horns represents the Apis bull and the Cult of Isis. 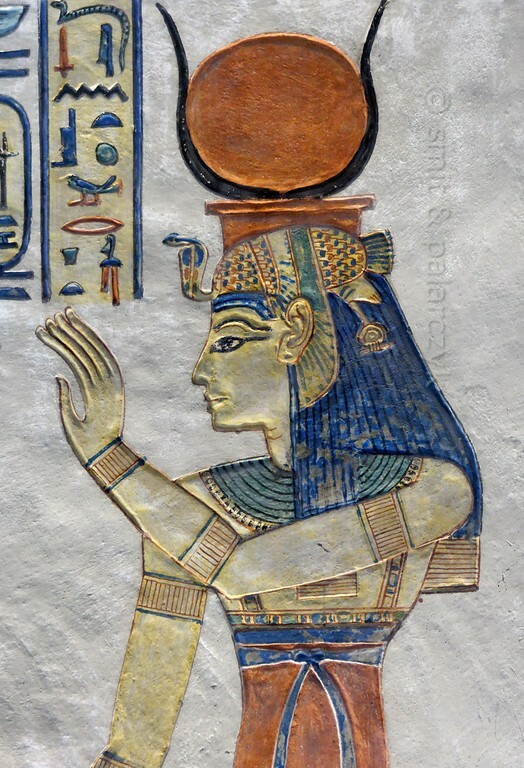 It also represents the goddess Hathor but she essentially represents Isis. 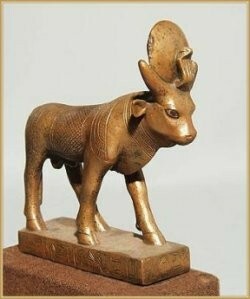 The Apis bull is represented by Osiris and when these two are morphed into one diety, it is called the Cult of Serapis. Today we are seeing this played out in the sky. 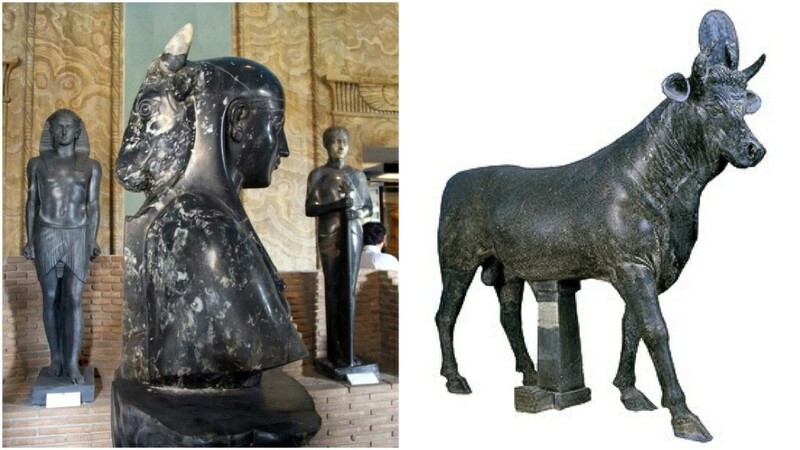 “The massive black diorite statue, flecked with pink crystals, is of the bull-deity Apis, originally worshipped in Memphis and associated with the cult of Isis. In the shadows, one can discern the solar disc and sacred cobra between its horns. Now in the Palazzo Altemps (Rome), it dates to the second century BC and was found on the Esquiline Hill, where there was the Garden of Maecenas. It is from Apis that Ptolemy I Soter derived the name of the synthetic god Serapis, whose cult had become increasingly popular in Rome. “It was Ptolemy I Soter (304-284 BC), who introduced Serapis. 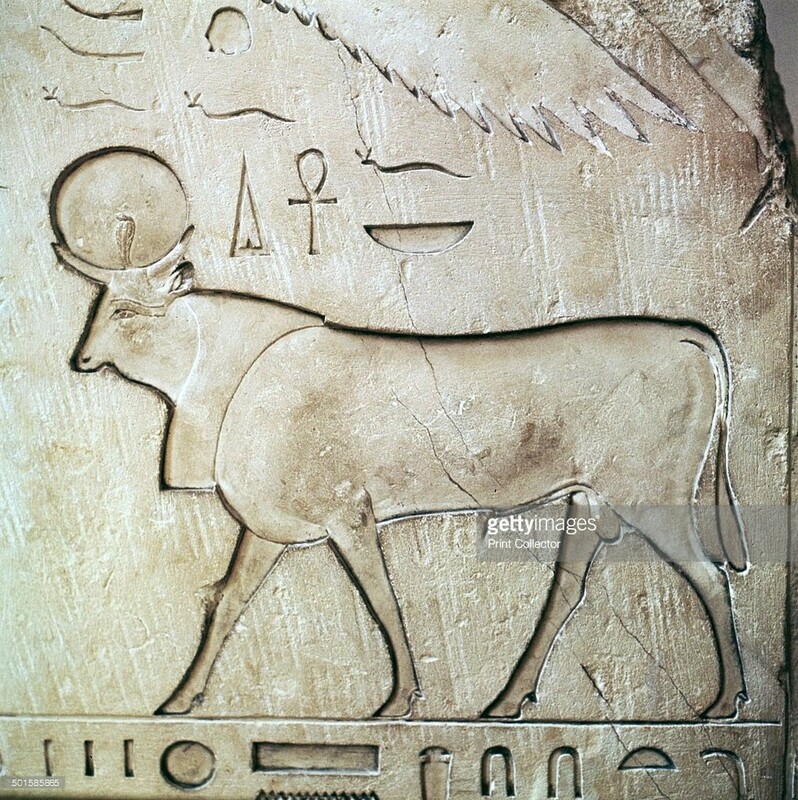 The Apis bull was sacred at Memphis, where the deceased APIs was known as Osiris-Apis, or “Oserapis,” from which he derived the name of his new deity, “Serapis.” Ptolemy built a temple for Serapis in Alexandria, where he placed a statue for the god: a man with curly hair, benign expression, and a long beard, in the same style used later for the representations of Christ in Coptic churches. Other than his temple at Alexandria, Serapis had another centre in Memphis, where, on the necropolis of Sakkara, the Serapeum became one of the most famous sites in the country. Isis became the companion of Serapis, who also inherited many of the attributes of Osiris, including mastery over the underworld. The mystic rites of Isis, to which women as well as men were admitted after an initiation ceremony, was based mainly on the explicit promise of immortality that they offered to adherents. 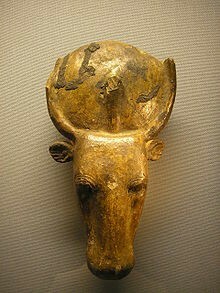 The APIs bull was believed to enjoy eternal life in the sense that he was reborn as soon as he died. 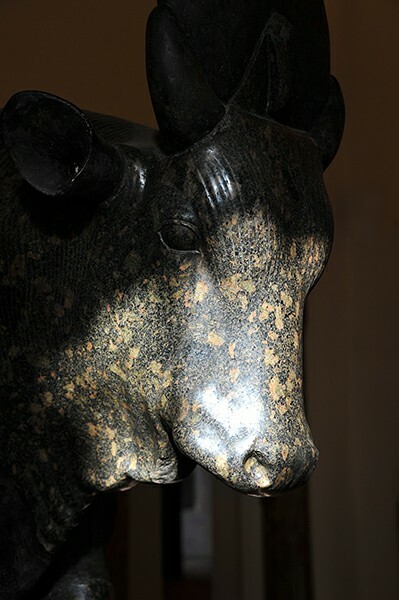 When they died, APIs bulls were buried in the subterranean galleries of the Serapeum, which was discovered by Mariette, the French archaeologist, in the middle of last century. 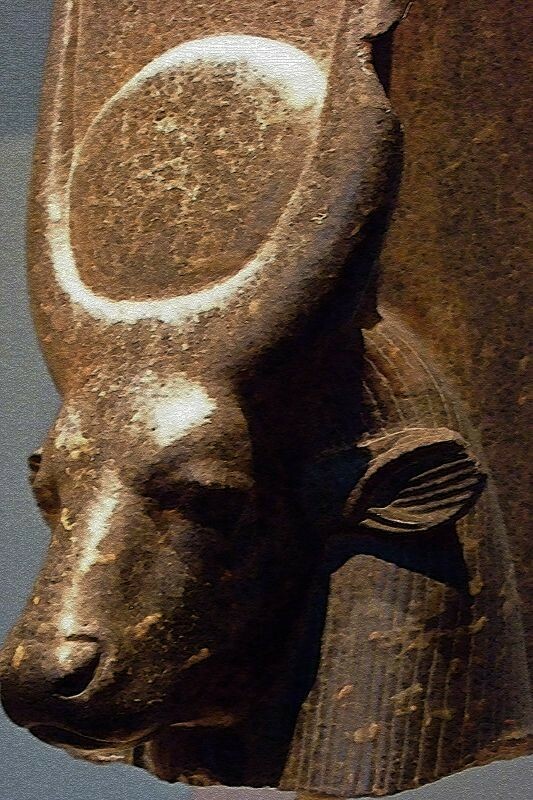 Found there were 24 granite and basalt APIs sarcophagi the heaviest of which weighed almost 70 tons. The Serapeum was served by voluntary monks and included a sanatorium where the sick came in the hope of receiving miraculous cures. 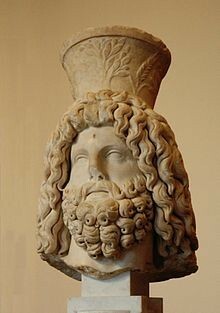 The cult of Serapis was to have sweeping success throughout Greece and Asia Minor, especially in Rome, where it became the most popular religion. There was a Serapis temple in Rome as early as 105 BC. Initiation into the Serapis cult included the rite of baptism, and Sir Alan Gardiner, the British Egyptologist, argued in the Journal of Egyptian Archaeology in 1950 that Egyptian baptism should be seen as analogous to Christian baptism, of which he commented: “In both cases a symbolic cleansing by means of water serves as initiation into a properly legitimated religious life.” The cults of Serapis and Isis did not merely survive the emergence of Christianity, but in the 2nd century AD actually increased in popularity. Serapis and Christ existed side-by-side and were frequently seen as interchangeable. Some early Christians made no distinction between Christ and Serapis and frequently worshipped both, while paintings of Isis with her son Horus became identified by early Christians as portraits of Mary with her son Jesus. The rite of baptism, part of the initiation ceremony of the Serapis cult, was also adopted by the Church as part of its initiation ceremony. Notice what is said in both of these excerpts about those who worship Serapis in Alexandria, Egypt…the Serapis. So should we really be surprised when “Christians” start predicting that this day or that day will be the day of this so called “rapture”? 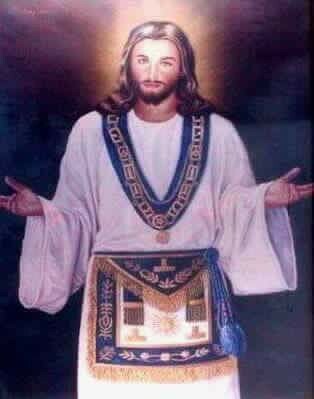 Maybe they aren’t actually worshiping the real Biblical Jesus, but maybe they are really worshiping as the Cult of Serapis. And just so you know, the Serapis story isn’t where the real Jesus came from. This was the same Gnosticism that Paul had to deal with. And its just become a little more discreet.